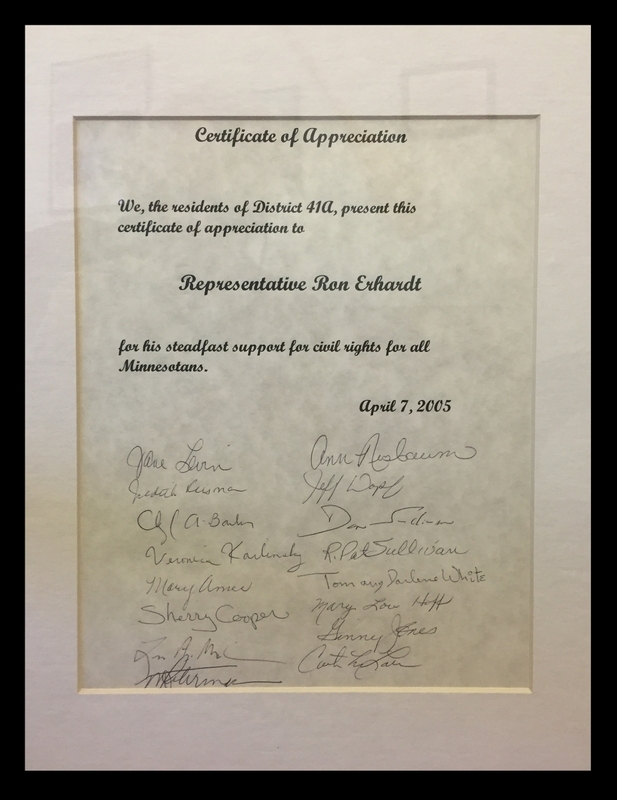 Rep. Ron Erhardt has a longstanding, award-winning record on equality, human rights, women’s rights and issues, and common sense control of gun violence. Ron is a former member of the Edina Human Rights Commission. The area of rights is so complex and Ron’s record is so deep in so many areas we cannot possibly cover it here. Ron likes to talk to constituents, provide them with information, and when they need it find them help. Go ahead, email him directly or call. Ron’s contact information is on the dropdown menu. Here are just a few photos of Ron in action and a few of his many awards.